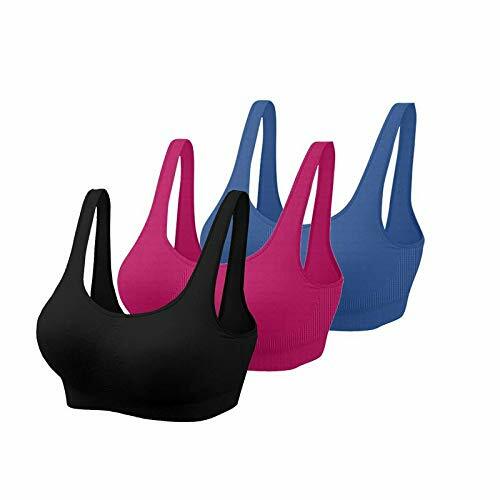 This product is basically a non-wired air bra made of stretchable Cotton and spandex material with wide elastic band that gives excellent support for your active lifestyle, providing greater ease & freedom of movement. SUGGESTION: If you haven't buy this product yet, you must try it. You fill most comfortable every time. Its designed after long scientific research taking special care of skin and breast. Be happy wearing all seasons. Latest Air Bra for Girls and Women, Boxxwish offer's high quality of under garments products for girls and women with premium quality and latest color combinations, We also focus on time of products delivery it may 3 to 5 business days in India & 15 to 20 business days out of India. COMFORTABLE: The Aire Bra won't stretch out and is the most versatile and comfortable bra you'll ever own. FULL COVERAGE: Full coverage cups custom fit to any size, keeping everything in place. DAY & NIGHT WEAR: You can even sleep in Slim N Lift Aire Bra for proper support, day and night. NO HOOKS FRONT OR BACK: Silky soft material stretches to fit. No more unsightly budge. Completely seamless. Smooth line-free appearance. PERFECTLY FIT: Wide straps fit perfectly and never slip off. BACK FAT: Say goodbye to embarrassing back fat, the wonder weave extra oomph band gives you support without the suffering and never rolls up! SAVES MONEY: The Slim N Lift Aire Bra save the thousand of Rupees spend on bras with painful underwire and strip that don't fit and can make you look. STYLISH BRA: The most comfortable bra you'll ever wear! The ultimate in comfort, support & style.